It is with great pleasure, and an extreme sense of patriotic pride, that we bring you this week’s interview, with not only Jason Tagmire, designer of the Kickstarter smash hit “Pixel Lincoln,” but today he’s brought along his close personal friend the pixelated President himself, Pixel Lincoln! Jason, Mr. President, thanks for taking a few minutes to answer some questions for us today. Jason, could you explain a little bit about how you approached the President about creating a card game based on his adventurous life? Mr. President, can I call you Link? Nevermind… Did you sign off on the game, and if so, how historically accurate did you find the game play experience? Favorite snow creature: Wampa or Bumble? Who wins in a fight: Iron Man or Hulk? The Primanti Brothers in Pittsburgh. It’s hard to top Mr. T, but I do love B.A. Baracus. Captain Kirk or Captain Picard? Thanks again for taking time to answer our questions! If you want to check out Pixel Lincoln the game you can visit their Web site right here! 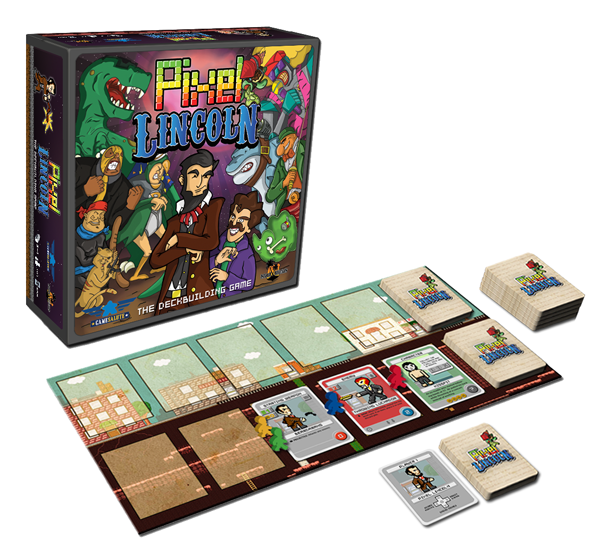 And while you’re there you can pre-order your copy of Pixel Lincoln, which is due for release this year! Thanks again for reading! An interview with Jason Kotarski, designer of The Great Heartland Hauling Co.
Jason Kotarski is a pastor in Michigan; he and his wife have a young daughter, and another on the way. 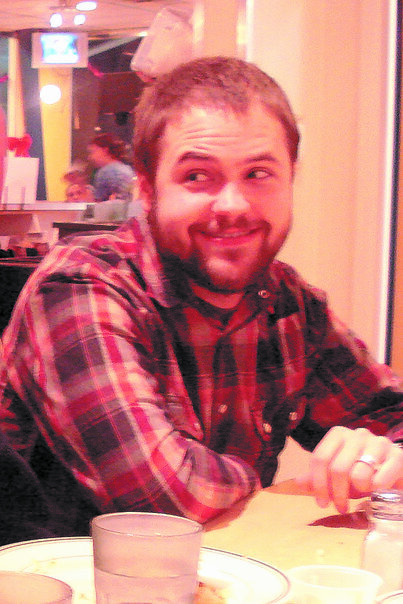 His first game design recently debuted on Kickstarter, and as I type this, he’s 80% of the way to being fully funded. He took time out of his busy schedule to answer some questions from us. How did you first discover Euros? My wife and I were out Christmas shopping one night at a local mall and we stopped to look at a kiosk that was selling games and puzzles. Her face lit-up when she spotted a little game called Settlers of Catan. She got super excited and told me it was an awesome game that she had played in college and that we had to buy it right then and there. We finally got it to the table some time later after we rounded up another couple to play with and I fell in the love with the game. I liked it because everyone played to the end and that game wasn’t focused on being mean and eliminating the other players. I had a bad experience with my brother-in-law taking the role of world dictator a little too seriously in Risk, so it was a nice change of pace to play a game that was about doing your best without dealing with direct conflict. After playing Settlers for a while, I remember I went to a local hobby shop because I thought I saw some more weird board games there. I ran into a friend from high school who worked at the shop and he convinced me to try Carcassonne and told me about a Web site called BoardGameGeek.com. Then, I Googled “board games” and stumbled on the Dice Tower and the Board Games with Scott videos and I was hooked. I felt like I had discovered that secret clubhouse of awesome and started amassing my collection. I’ve come to see gaming as a social outlet and something interesting to bring people together. It’s also a nice option to have something other than flipping on the television as a form of entertainment. It’s good clean fun, you know? What are your Top 5 games, and why? This is such a tough question for me. I am one of those people who loves ideas and all kinds of different stuff so it is really hard to narrow down my favorites to 5 but I’ll do my best. Ticket To Ride: Marklin Edition—This one is the first Ticket to Ride games I played. I love how easy it is to teach and the streamlined game-play. I played a lot of Rummy growing up so the set-collection aspect of the game felt very familiar to me while the building train routes and hidden goals felt very fresh to me. You never have enough time to do everything you want to in this game so it always leaves me wanting to play just a little more. It’s also one of the go-to games for sharing hobby games with more casual folks. Incan Gold—I love this game because it works with larger groups of people, is easy to teach, and it provides a very tense, engaging experience. It’s a great combination of press-your-luck and social experiment. It’s a game that allows you to learn a little something about the people you are playing with. The theme is great! Who doesn’t want to pretend they are an Indiana Jones-esque explorer for a few minutes with friends? Pandemic—Pandemic sort of defined the cooperative game genre and it still holds up for me. Players work together to save that world from deadly diseases that are breaking out in epic proportion around the globe. This game also introduced me to variant player powers that give each player a unique ability. There is a lot to explore in this game. I love the rewarding feeling you get when you actually manage to save the world. Carcassonne—This is my wife’s favorite game hands-down. We’ve played this more than any other game in our collection. It’s another one of those classic gateways that really leaves an impression and begs to be played again and again due to its simple rules and ever-changing play area. The expansions have really helped the game to grow with me as a gamer. 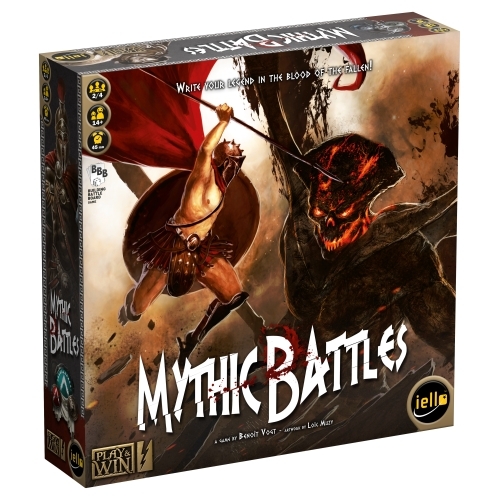 We usually throw in Inns and Cathedrals along with Traders and Builders when we play this. It’s beautiful to look at, too. Great game. Stone Age—I remember playing this one pretty early on and loved how it built on the civilization expansion of Settlers of Catan with newer mechanics. I love sending my little caveman workers out to hunt and gather and help feed my little tribe. Stone Age is a great game to look at when you want to take a baby step or two up from Settlers. Tell us the genesis (no pun intended) of The Great Heartland Hauling Co.
Ha! I was actually chatting with a truck driver who was bringing food to my church for a food ministry we were doing at the time. He told me that the company that hired him to bring up the food was paying him less per mile than what it cost to operate his truck. He then told me the only reason he took the job was to get most of his expenses paid on the way up so he could cross over to the other side of the state to pick up some greens to take to Florida. The job on the way to Florida paid him twice as much so he was still able to make a profit on the trip. When he was talking, I instantly thought there was a game somewhere in his story, so I went home and made one. It turned out pretty good, so I took it to a design contest and got some great feedback that launched me into a search for a publisher that eventually landed with Dice Hate Me Games. How did you connect with Dice Hate Me Games? I had heard about them through their Kickstarter campaign for Carnival and was struck by design work Chris Kirkman did for the game. They got my attention with the look of their games. I didn’t end up backing the game but I checked out the Dice Hate Me booth at Origins this year, met Chris and Monkey, and we just hit it off. I showed them my game and told them that I was going to request to be released from a contract I had previously made with another company called Cambridge Games Factory after some long delays. Dice Hate Me had a pretty full release schedule but they were enthusiastic about my game and offered to help me explore some other publishing options if I ended up leaving my previous publisher. They told me that they really couldn’t take anything else on but I was convinced after meeting them that it was time for me to move on. I did decide to move on and Chris and Cherilyn ended up showing the game to some friends that told them they had to publish it so I got a phone call the day I terminated my contract with Cambridge Games Factory and Dice Hate Me offered to publish the game and get it on the fast track to publication. 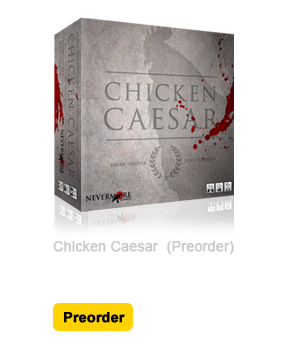 Now the game is on Kickstarter headed for a January 2013 release and I couldn’t be more pleased with how it’s turning out. What’s your favorite mechanism in The Great Heartland Hauling Co.? 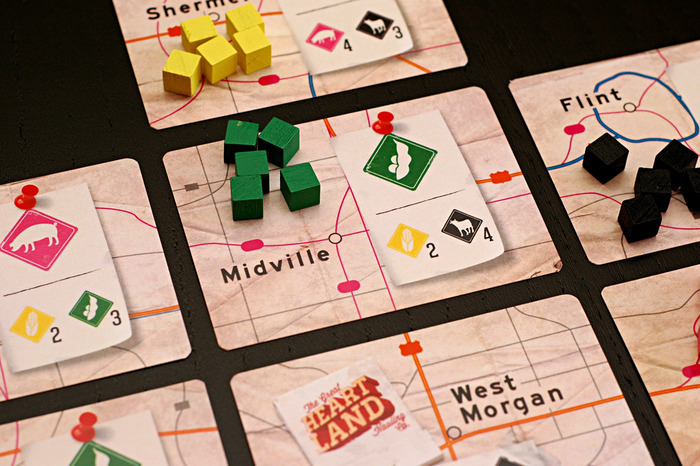 Heartland Hauling is essentially a game of hand management with a bare bones pick-up-and-deliver system played out on a modular playing area. I think the mechanic I like the most is the simple pick-up-and-deliver component. In the game you use gas cards, or points, to move around the Heartland to pick up wooden cubes of freight (using goods cards), to deliver them (also, using goods cards) to different locations trying to earn the most profit. It’s a very tactile experience. You move your little truck, hand in the cards, and move around little wooden cubes. I had never really played pick-up-and-deliver games before so I didn’t have much to go on besides the name of a mechanic I had heard about that seemed to fit the theme of the game. I just made it up as I went along and I think it represents the theme well and has an interesting take on a familiar mechanic (at least to train gamers) that is fleshed out in a new way. Is this your first attempt at game design? This is my first design, which actually kind of blows me away when I think about it. I mean, who gets to publish their first game with a great company that puts out interesting games and has such a solid reputation? It’s super exciting for me and is really driving me to continue to stretch my creative wings. 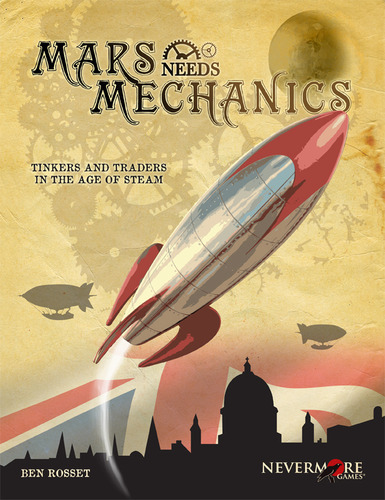 I have a few others designs in the works and one game that is currently being considered by a publisher in Europe. It’s a fun way to get to contribute to the hobby I love in such a big way. Star Wars all the way! I mean, I dig the J.J. Abrams Trek reboot but I grew up on Star Wars. I’m pretty sure my first crush was Princess Leia so that shows you just how nerdy I really am! Were you disappointed that Dice Hate Me decided to change the theme from your beloved Michigan to a broader “heartland” theme? The theme didn’t really change at all, just the art and the name. The prototype, originally called Over The Road, had a darker, grittier feel to it. It looked a lot more like the game had an urban setting but that wasn’t the intent. Chris Kirkman brightened up the color pallet and gave it an Americana feel which I think goes with the new name, The Great Heartland Hauling Co., really well. I think the new art and name really captures the original inspiration for the game so I’m quite pleased. I’m just glad they didn’t want me to add aliens, or something like that, to the game. I wanted that Euro-game-meets-Middle-America feeling and I think we kinda nailed it! How has being a pastor influenced you as a game designer—if at all. I think that being a pastor has helped me grow as a thinker and as a person that can take an idea and bring it to life. I work a lot with communicating abstract ideas and planning concrete events in my church work, so I think the two kinds of work are similar in that way. I get to stretch my brain in all kinds of different ways as a pastor and as a game designer. And for me, the community aspects of gaming and the church are hugely important to me, so I think they fit together nicely. I’ve said this before, but the thing I love about games is the way that they bring people together in real life. I don’t think we have enough of that. Relationships are really important to me because people are really important to me. So if my games, or my church, can bring people together in meaningful ways, I believe that I am engaging in meaningful work. Build your perfect sandwich for us. I actually think I just had the perfect sandwich at a grilled cheese restaurant in Cleveland called Melt. The sandwich was called The Melt Pig Roast and it had Muenster cheese, chipotle pulled pork, fried sweet potatoes, and a spicy coleslaw. I’m pretty sure it changed my life. Many thanks to Jason for answering our questions. Head on over to Kickstarter and check out The Great Heartland Hauling Co. for yourself! And thanks for reading!